Flamebuoyant Productions presents the finest in circus-style entertainment suitable for any size group or venue. Founded in 2005 from a need to play with fire, walk on stilts, fly through the air, climb on our friends and share the love of movement arts, Flamebuoyant Productions is based in the beautiful city of Portland, Oregon, USA, but can travel just about anywhere. We had a blast at my daughters sweet 16 party. Flamebuoyant productions, came out and helped with entertainment, they were professional, fun and the life of the party! Great communication before the event and wonderful customer service. We will be using them again for future events. on a scale of 1-10 we give them a 15. The provide a wonderful customer experience and in this case, a life time memory! We had an Under the Big Top auction for St. Thomas More School. I didn't know where to find circus performers so I used gig salad. Flamebuoyant contacted me and they were so great to work with. I was unsure of what we needed and how it would all work but Flamebouyant had tons of experience and able to give me ideas based on their past events. It was so helpful! 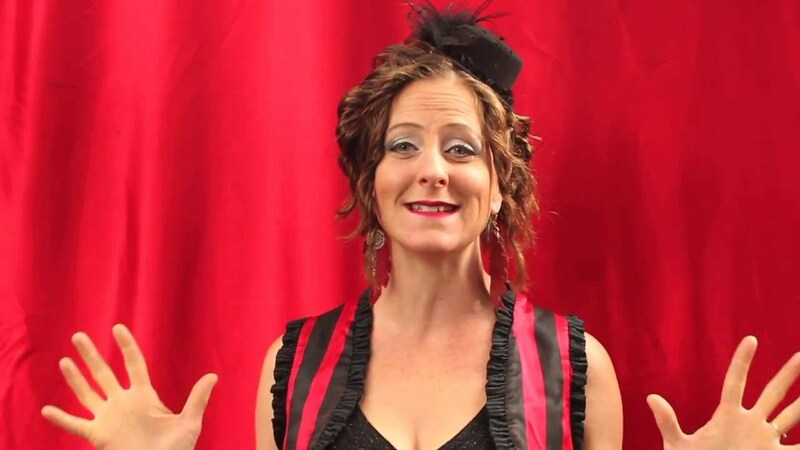 We hired a fortune teller, contortionist and Strong Woman. The performers were on time, professional and so lovely to work with. Our guests were captivated by their performances. The strong woman brought her own apples and phone books to tear apart. Groups of people were circled around her as she showcased her strength. She helped our raffle team sell out of raffle tickets! I loved seeing the expressions on guests faces as they sat with the fortune teller! Pure amazement! The contortionist captivated the guests as they waited in long lines for the bar. Our circus event would not have been a success without these performers. They stole the show! I can't wait to work with Flamboyant again! She arrived on time and very prepared. She entertained the crowd with age groups spanning from 6 years old to 60! Very professional! Insurance: $2,000,000 - Flamebuoyant Productions is fully insured with a $2 million policy, and offers certificates of additionally insured by request. 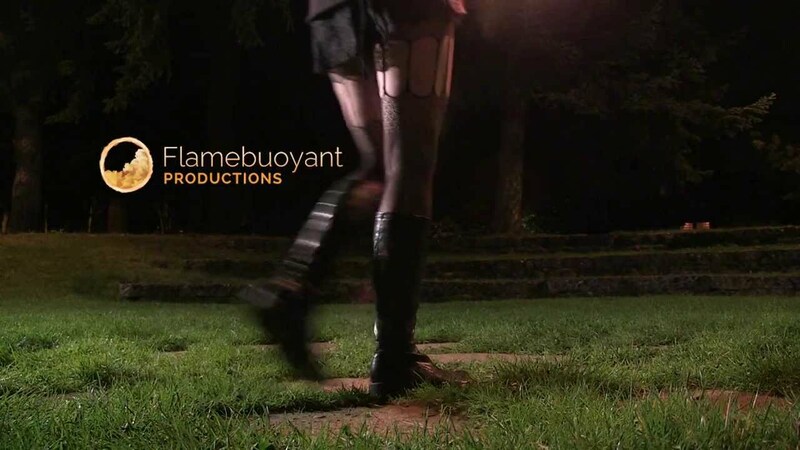 Whether on stage at your favorite venue or in your backyard for a special occasion, Flamebuoyant Productions will make your event special with performers who bring the excitement of the circus to you with stilts, fire performance, acrobatics and more. We can tailor entertainment to your event or venue in a number of ways. Whether you need a short performance to wow your audience or a group to entertain all day, we provide the quality and expertise you deserve. Choose one type of entertainment for your event, or create your own combination of fire performance, stilts, acrobatics and circus skills. Add a group workshop to your event for hands- on fun, or have us custom-make hoops or other equipment in your wedding, school or corporate colors. We specialize in tailoring the perfect entertainment to your needs, so contact us to tell us about the experience you’d like to create. Looking for something to heat up your luau, add excitement to your party, or stop your event participants in their tracks? Flamebuoyant Productions presents innovative, exciting performances that thrill and engage audiences of all ages. Whether you choose fire dancers, stilt walkers, acrobats or character performers, you will surely see smiles on the faces of your guests when Flamebuoyant’s crew joins in the fun. We specialize in tailoring the perfect entertainment to your needs, so contact us to tell us about the experience you’d like to create. Our fire performances are suitable for audiences of all ages at all types of venues, both indoors and out. Tools available include poi, staff, double staff, hoop, fire eating, fans, giant flaming jump ropes and just about anything else we can dream up. Duet and group performances contain acrobatics with fire. Stilt walkers are a great way to add big impact to your event, parade, party or picnic. Plenty of tall characters to choose from allow you to pass out promotional items or get your sign seen in a way that works with your event theme. Bubbles, ribbon sticks and really high fives are always popular with the kids, and it’s fun to hit the dance floor when your legs are so long! We can also provide a wide range of other circus-style skills including hoops, living statues, belly dancers, contortion, magicians, acrobats, aerials, juggling, cyr wheel, balloon twisters, fortune tellers, face painters and airbrush artists, a strong woman and more…we even have a mermaid now! Flamebuoyant Productions is fully insured with a $2 million policy, and offers certificates of additionally insured by request. 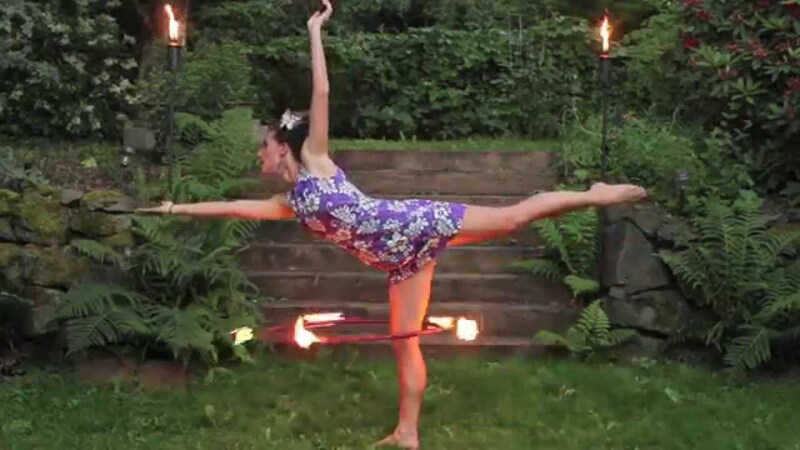 Fire performance requires appropriate space and permits. We are experts at navigating the permit process, let us know if you need help fulfilling the requirements of your local Fire Marshall’s office. Show fee includes safety personnel and strict adherence to the regulations regarding fire performance as stated by your local Fire Marshall’s office. 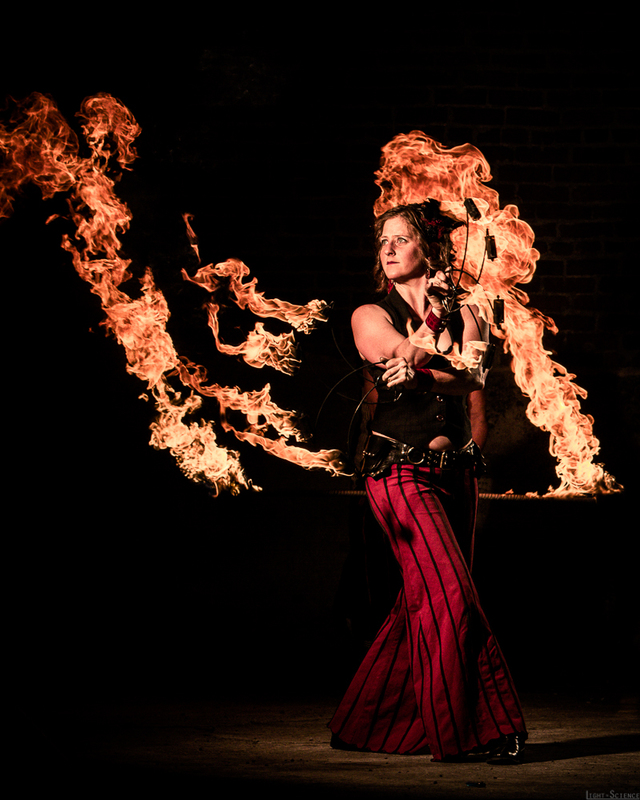 Fire shows range from ambient entertainment (welcoming guests, for example) to a 12 minute solo show (using various props to recorded music) to 20 minute duet performance or more people for more time for an all-out fire extravaganza. We can also provide a wide range of circus skills as either walk around/ambiance entertainment or stage shows, including: stilts, hoops, living statues, belly dancers, contortion, magicians, acrobats, aerials, juggling and more. We can do shows with LEDs if fire doesn’t work with your venue. Fire performance requires appropriate space and permits. Prop, acrobatic, aerial and stilt performance requires appropriate space.